Areas of interest include Equine Nutrition, Metagenomics, Probiotics, Canine Nutrition, and Working Animal Performance. E. Venable, S. Bland, H. Holscher, and K. Swanson. 2016. Effects of air travel stress on the canine microbiome: a pilot study. International Journal of Veterinary Health and Science 4(6) 132-139. E. Venable, S. Bland, V. Braner, N. Gulson, and M. Halpin. 2015. Effect of grazing muzzles on the rate of pelleted feed intake in horses. Journal of Veterinary Behavior: Clinical Applications and Research. Volume 11. P 56-59. E. Venable, J. Kraemer, S. Sparks, and C. Goyer. 2015. Effect of crumb rubber made from recycled tires on air quality in an indoor riding arena: a pilot study. Journal of Equine Veterinary Science. Volume 36. P 97-100. R. L. Kallenbach, E. B. Venable, M. S. Kerley, N.J. Bailey. 2010. Beef Production on Silvopastures with Stockpiled Tall Fescue. Agroforestry Systems. 80:379-384. Jesse Francis is a Doctoral student in the College of Agricultural Sciences with a focus in Equine Nutrition and Behavior. 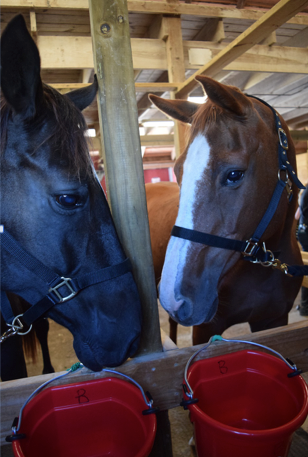 She is currently researching palatability preferences in horses and behaviors associated with eating. She is exploring topics including herb-based oil preferences, the role of olfaction in palatability, saliva production associated with palatability, association between feeding location and behaviors, as well as the effects of age and gestation on palatability preferences. This research will assist feed and medical companies to increase the palatability of their concentrate diets and oral medications, help equine nutritionists understand the palatability preferences of horses throughout all stages of development, and potentially suggest feeding strategies to reduce the prevalence of gastric ulceration in horses. Ellie Powell is a Masters student in the Department of Animal Science, Food, and Nutrition with a focus in Working Canine Decontamination. She is examining a new field decontamination protocol and determining if this method is more efficient at reducing contaminants on the working canine compared to existing protocols currently in use. 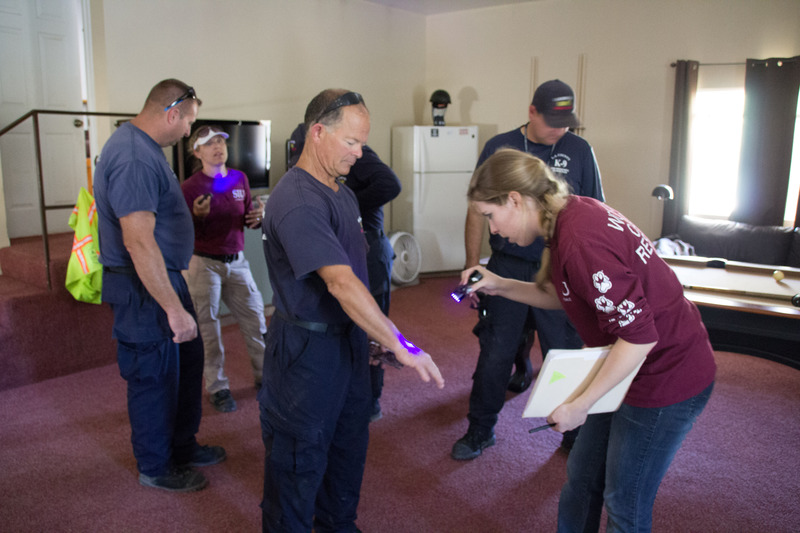 Decontamination is a huge concern when disasters strike. It is crucial that the canines are properly decontaminated to avoid exposure to harmful contaminants, leading to health concerns or death. In addition, her research also examines the concern for cross-contamination to human team members. 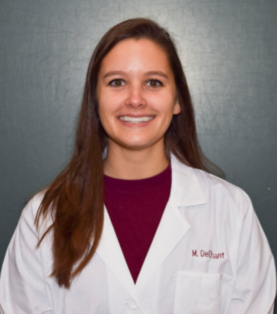 Mallory DeChant is a Masters student in the Department of Animal Science, Food, and Nutrition with a focus in Canine Physiology. She is currently researching physiological and behavioral effects of heat stress in working canines. Impaired thermoregulation triggers several physiological abnormalities and can hinder the performance of the search and rescue canine. 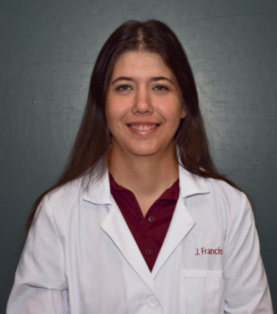 Her research is designed to educate handlers and veterinarians on field management methods to better recognize the signals of stress in working canines in order to prevent impaired thermoregulation. 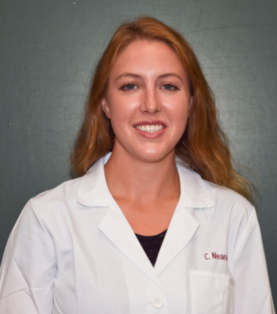 Caitlin Neander is a Masters student in the Department of Animal Science, Food, and Nutrition with a focus in Canine Physiology. 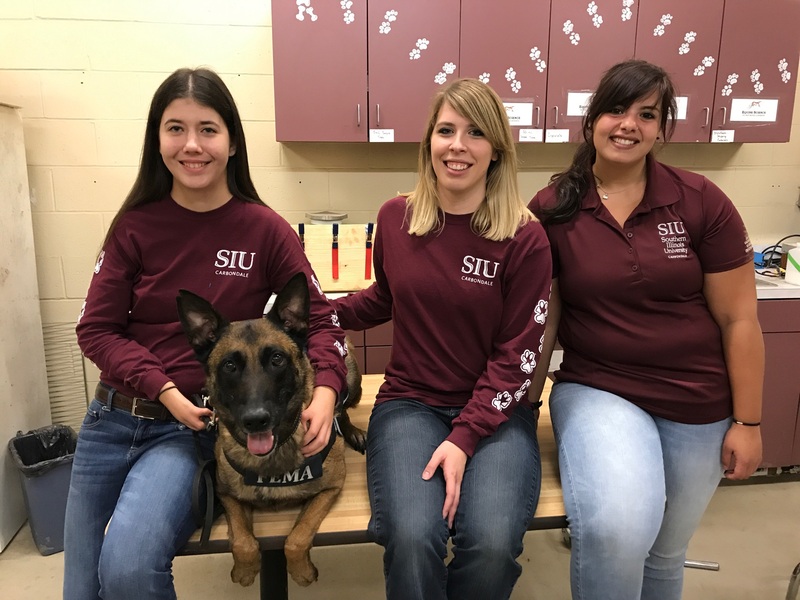 She is currently researching different technologies that can be used to get an accurate thermal temperature on working canines in various situations. 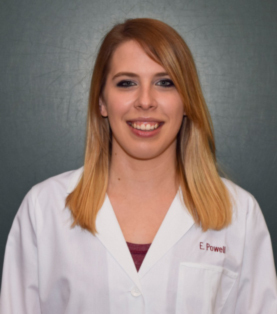 She is examining different external and internal signs to determine if the dog is at risk for developing a heat related injury and researching the prevention of heat related injury and mortality in working canines in hot and stressful conditions. 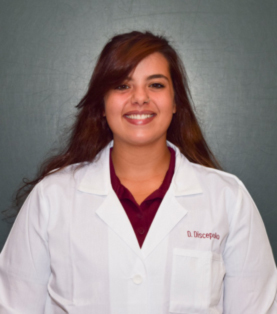 Dakota Discepolo is a junior in the Department of Animal Science, Food, and Nutrition majoring in Animal Science with a specialization in Pre-Veterinary Medicine and Science. 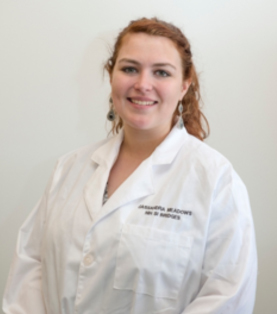 She is an Undergraduate Research Assistant through ILSAMP and the McNair Scholars program. 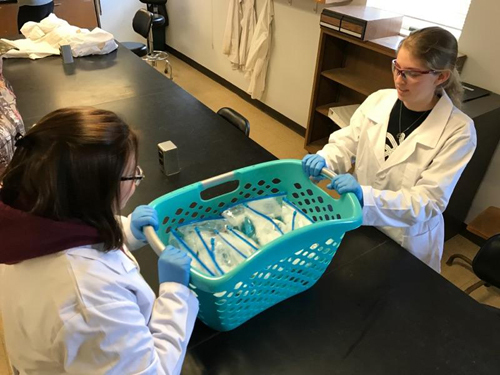 Dakota is currently working on the effects of cleansing agents on canine skin, as well as assisting with working canine decontamination and heat stress research. 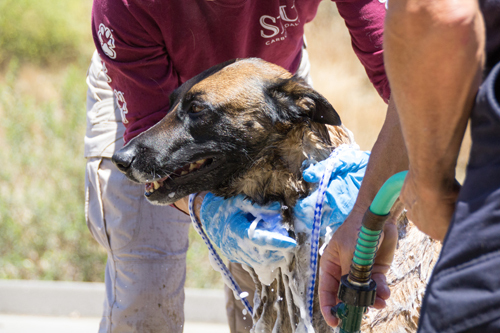 Her current project is to help understand what cleansers used during decontamination procedures may be most effective and safest on the canine’s skin. During deployment, working canines may come into contact with various contaminants which could be harmful to both canine and handler. Decontamination procedures need to be implemented after each search, but it is unknown what effects multiple days of exposure to cleansing agents has on the skin of the canine. This work can help handlers make decisions on how to better decontaminate their canines during deployment. 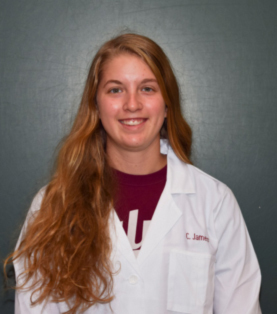 Carrie James is a senior in the Department of Animal Science, Food, and Nutrition majoring in Animal Science with a specialization in Animal Production and minoring in Agribusiness Economics. 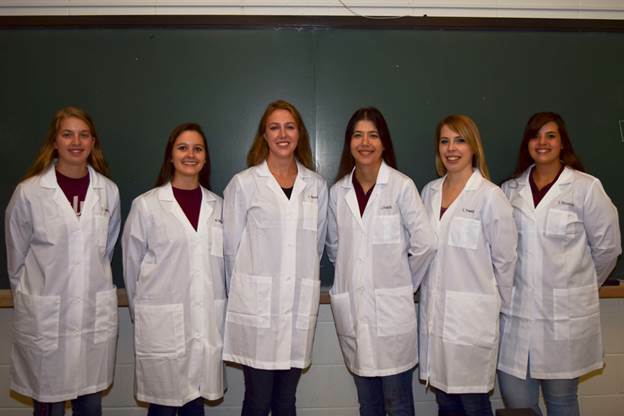 She is an Undergraduate Research Assistant that has participated in both working canine and equine nutrition research. 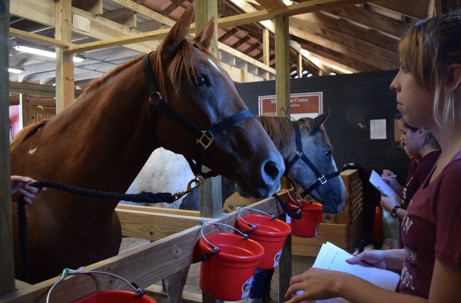 Carrie is currently assisting with equine palatability trials and behavior scoring. She is focusing on the effect of chewing on saliva production in the horse, as well as the effect of the stage of development on palatant preferences. This will benefit the equine as it is unknown if the same palatants increase consumption in all age groups or stages of growth and development. Cassie Meadows is a sophomore at John A. Logan Community College working with Dr. Perry’s research team through the Bridges program. She is assisting with the equine palatability and behavior research. Cassie’s focus is on the palatability of herb-based oils and their influence on saliva production.